Reach you marketing goal with this great marketing idea. That next big conference will be a breeze with the promotional Jelly Beans 25 Gram Bag. The personalised jelly beans 25 gram bag is your best bet to having a successful promotion. These custom bags packed with sweets are very cost effective so you don’t have to overspend just to reach your marketing goal. When you personalise the promotional jelly beans 25 gram bag with your custom design, you’re sure to win new contacts and open new opportunities for your business. 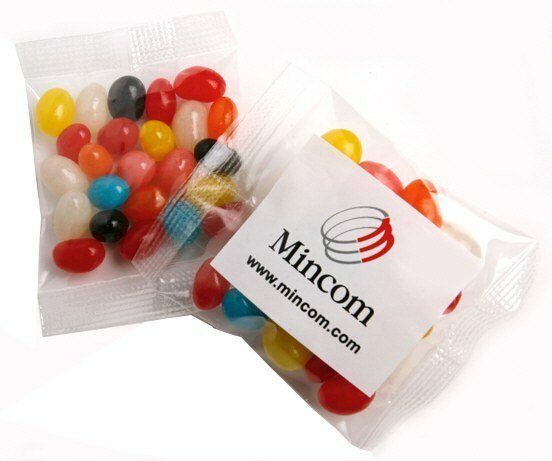 Take the branded jelly beans 25 gram bag to the next trade convention and you’ll impress participants with this awesome promotional product. Display it on your booth and let people be allured by the glossy multicoloured texture of the sweet beans. Hand them out for samples and watch how much attention you’ll get. With your company logo and details printed right up front, your brand is bound to make quite an impression. Another great idea for the branded jelly beans 25 gram bag is to gift them to your staff. The upcoming holidays will certainly be more jolly when you give away these fun beans with a personalised message. Or for your clients and suppliers, design a message of thanks along with a holiday greeting and your gift will become more warm and personal. You can also opt to have your custom confectionary be packed in branded confectionery Noodle Boxes. 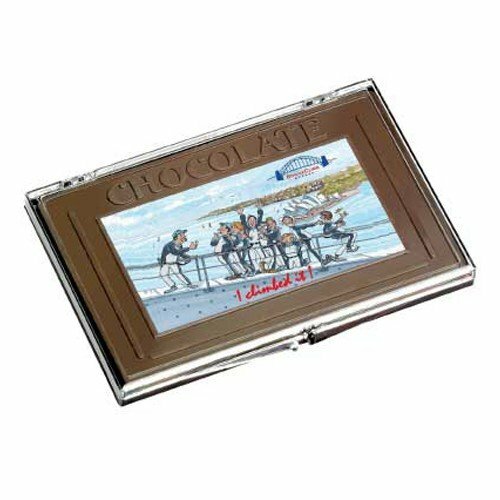 Have a look at the promotional Jelly Beans Frosted Noodle Box and the customised Jelly Beans in Mini Clear Noodle Boxes for some other great ideas in how to package your candy goods. We guarantee only the best quality with all our products so you always get the best value for your money. Make a maximum impact with our promotional Jelly Beans 25 Gram Bag. These colourful confectioneries are great for advertising and marketing giveaways! Increase your brand’s visibility anytime, anywhere with our Lo-Pro Mesh Trucker Cap and our other customizable hats and caps. You can reach us if you want to discuss your requirements further by dialling 1300 008 300. Or you can also hop on that chat box on the lower right on this screen and one of our customer service representatives will be happy to attend to you.